An unforgettable day out, where you come face to face with intelligent playful wild dolphins. Discover a tropical island escape close to inner city Brisbane. A winning combination of crystal clear seas, white sand and untouched national parks, Tangalooma Resort on Moreton Island is a pristine wonderland waiting to be explored. Spend the day relaxing by the resort pool or challenge yourself to sand tobogganing. At sunset get an unique experience handfeeding wild dolphins and savour island life for a day. Look out for turtles, dugong, starfish and schools of tropical fish! 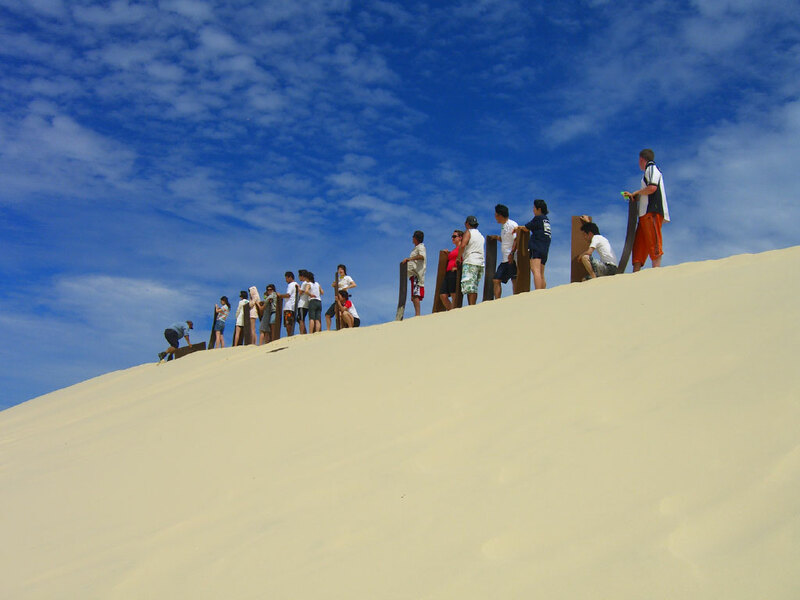 Desert Safari Tour - try thrilling sand tobogganing - exhilarating stuff for fun lovers!